WA Billboards was founded in 1991 by current directors Stephen and Kerry Robinson, and has since grown to be the largest domestic operator of outdoor media in Western Australia. Stephen started in the industry in 1984 with an outdoor display company before being recruited by Australian Posters in 1989 as a Specialist Development Officer, while Kerry held a senior position with the Commonwealth Bank. In 2010 their son Christopher joined the WA Billboards team and now runs the operational aspects of the business including site leasing, maintenance and material changes. Over several years the business has continued to expand, welcoming Sales and Marketing Manager Chelsea and Steve and Kerry’s second son Mitchell to the team. WA Billboards is the last privately owned, dedicated outdoor media company in Western Australia. It successfully trades in a highly regulated and competitive market against large international companies, offering clients a broad range of outdoor media options across metropolitan and regional areas of WA. This includes extreme condition billboards that are built in house to withstand cyclone prone areas. In addition to standard outdoor media options WA Billboards hold the rights to a number of regional airport terminals including Karratha, Newman, Port Hedland, Kalgoorlie, Geraldton and Onslow. In some regions also offering transit media such as buses and taxis under a sub-license arrangement with the WA Governments Public Transport Authority. We proudly maintain our independence and family ownership of the business and pride ourselves on being market leaders who can react quickly to client and landowner requirements. Our Harvard Road, Jandakot Airport location houses our sign manufacturing facilities as well as a hangar for our aircraft. With full CASA Approved maintenance WA Billboards has total independence from outside suppliers which ensures our aircraft are always available if required. Stephen holds a commercial pilots license with an instrument rating for all weather operations and Christopher holds a full Private Pilot’s license. All key staff hold ASIC cards relieving our airports from the onus of supervising us on site, therefore ensuring their commitment to aviation safety are maintained. Our sales, marketing, operations and administration are conducted out of our office on Boulder Road, Malaga. We have national sales representation by both the oOh! Media and APN group’s whilst at a state level we manage our own representation to advertising agencies and direct clients. Traditionally billboards were seen as fixed advertising panels located in various areas to exhibit an advertisers message. They were displayed on standardised sizes and formats such as 24 Sheets, Super 8s, Supersites and Spectaculars. 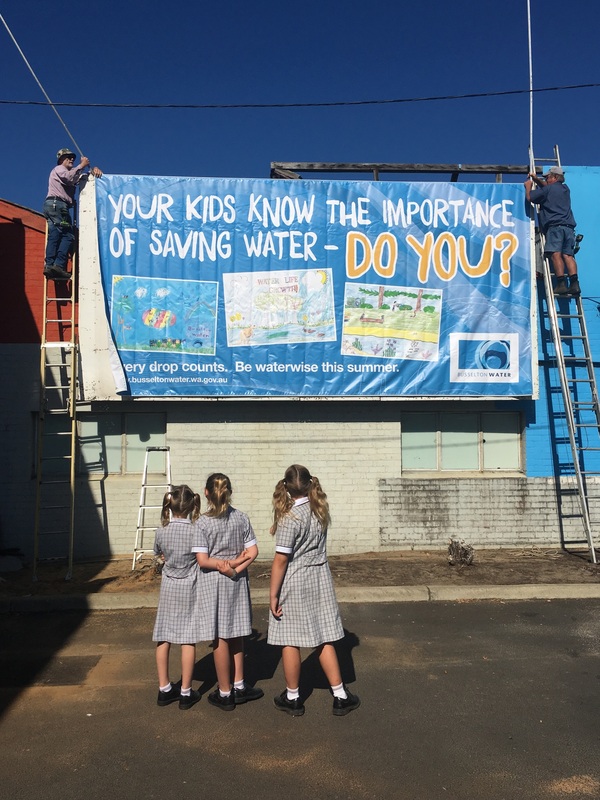 In more recent years the definition of a billboard has evolved to include a wide variety of layouts, designs and styles which come in the way of bus shelters, digital and electronic signage. This transformation has revolutionised the ‘industry’, resulting in businesses re-branding themselves to become overall Out-of-Home Media providers. Although traditional billboards are still a very successful and loved promotional tactic, modern technologies are encouraging the industry to look further into the future, advancing and developing outdoor signage to bigger and better effects. 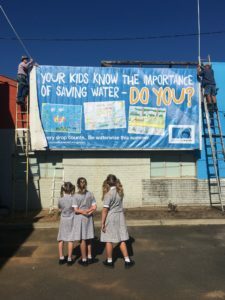 If your business is looking for something different, WA Billboards can offer the chance to develop unique projects and one-off concepts. This can be anything that your creative team may imagine, if you think it is viable and that your company/client will love it, we will endeavour to make your vision a reality. We have a depth of experience in many projects for different clients and are happy to discuss any idea you may have – no matter if it is the biggest or smallest yet. From the highest point of the Kimberley to the lowest of the South West, WA Billboards have a wide variety of sites across the state on offer to you. Our vast distribution means your company can reach its desired target audience, whether it be your neighbour, nearby work places, city commuters, FIFO workers, tourists or farmers. In the past, standard billboard formats were 3m x 1.5m (6 Sheet) poster boards. These sites are no longer common but were seen frequently in a place of purchase for products such as ice-cream and cigarettes. The next size was the 24 Sheet poster which is still a common site across all city and regional locations. Measuring 6m x 3m these were the old 20ft x 10ft poster boards. The name 24 Sheeter is still commonly used and relates back to when it took 24 Sheets of paper to bill post a board. Modern day printing presses, with large paper sizes, could do the same with only 12 sheets of paper, however the 24 Sheet name still remains. In more recent years paper posters have been replaced by digitally printed vinyl banners known as ‘skins’. The next size up is the newer 8.3m x 2.2m Super 8 format. These have become popular in recent years as an alternative option to the full size Supersites. The format is very similar at a 4:1 ratio but these are a lower cost option. A true Super 8 will be on a major highway and include flood lighting. These are the standard fare for large format advertising sites and measure 12.6m x 3.3m in a landscape format. These always include flood lighting for night time viewing, are located on major highways that carry 30,000+ cars per day and are most commonly in prominent locations. A broad name that covers any panel larger than a Supersite, although much larger panels are frequently used under the same description they’re commonly 18m x 4m in size.